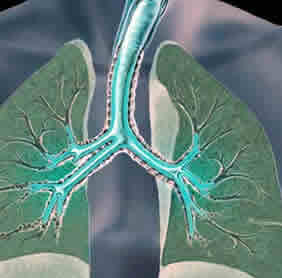 Dyspnea (difficulty breathing) is a cardinal symptom of chronic obstructive pulmonary disease (COPD). Its severity and magnitude increase as the disease progresses, leading to significant disability and a negative effect on quality of life. Here are the Canadian Thoracic Society clinical practice guidelines, with emphasis on CAM. There is insufficient evidence to support the routine use of the following CAM options. Let’s be clear on the symptom of dyspnea. It’s a sign of serious disease of the airway, lungs, or heart. The onset of dyspnea should not be ignored but is reason to seek medical attention. Accordingly, treatment should focus on what is known to work based on the best medical evidence. This entry was posted on Tuesday, October 25th, 2011 at 1:20 AM	and is filed under Acupuncture/ pressure, Art, Music, Dance, Cognitive-Behavioral Therapy, COPD, Relaxation. You can follow any responses to this entry through the RSS 2.0 feed. You can leave a response, or trackback from your own site.